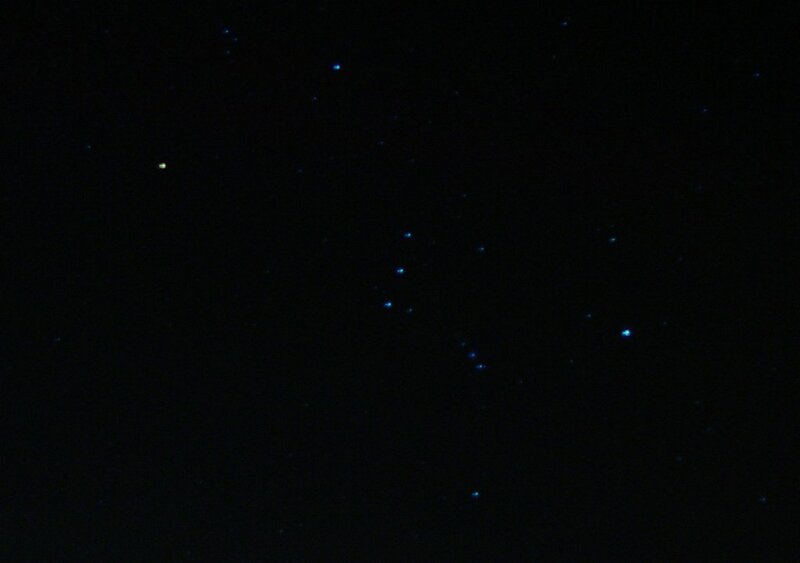 Ever since I was a kid, the Orion constellation has been my favorite. It's probably because it's the one I can spot most easily. This time of year, it becomes my faithful companion in the eastern sky. Each night as I drive home I see it out the side window of my car. And when I turn out the lights at night to go to sleep, I can glance out the window and see it. There's something comforting about it - perhaps because in this world of impermanence, it's something I know will always be there. 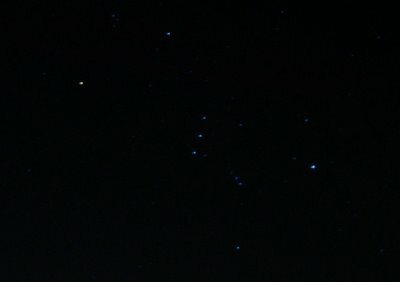 In the big picture nothing is permanent - the sun and moon and everything else will eventually go away - but at least on the small scale of my lifetime, I'm pretty sure I can count on Orion being there. HOW do you recognize that!?!?!??!?!?!?!?? When I look at the stars, I can't help but think of how cool it is that all matter somwhat randomly coalesced into stars, planets, people, rocks, cats, and fudge -- okay, maybe not fudge.